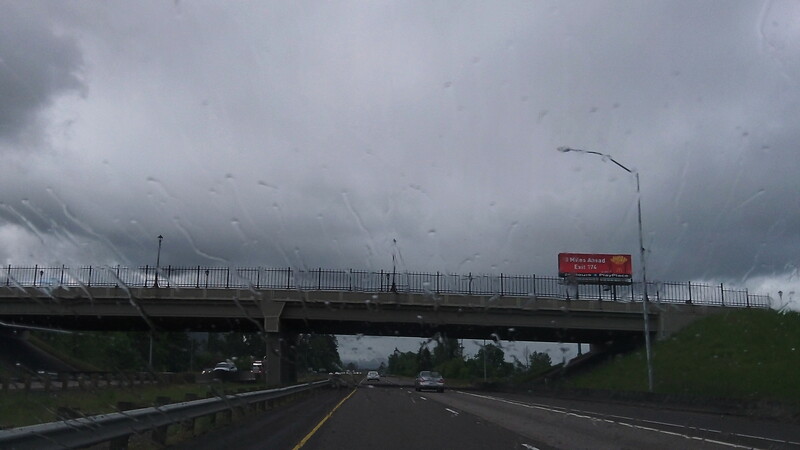 Through a rain-spotted windshield, you and I are looking at the East Oregon or Cloverdale Road overpass on Interstate 5 in Creswell, south of Eugene. From there, before dawn on April 13, someone dropped a chunk of masonry, a cinderblock, which smashed into a vehicle below and injured a woman sitting in the passenger seat. If they catch the person responsible for this fiendish attack, no punishment would be too severe. It was after a similar incident on I-5 north of Albany in the 1980s that the Oregon highway department started putting up tall fencing on overpasses. In that case, someone tossed a rock off the Talbot Road bridge. It slammed through the windshield of a pickup and into the face of a young girl, Jessica Allen, riding in the passenger seat. Her dad was driving. He raced to Albany General Hospital, where she underwent the first of several surgeries to rebuild her face. As far as anyone knows, no one was ever caught for that crime. But anyone who would willingly maim or even kill total strangers on the freeway is sure to commit plenty of other cruel crimes, and sooner or later, the law likely caught up with this one. I hope that whoever committed that outrage about 30 years ago spent many of the years since then in prison for something else he also did. Most freeway overpass fences are utilitarian, chain-link affairs. The one at Creswell and a new one north of Roseburg are more decorative. I asked Rick Little of ODOT, and he assured me that they are just as tall as the common overpass screens. The height standards, though, are intended merely to discourage people from throwing things off the bridges, not to make it impossible. I too vividly recall the incident on the I-5 overpass that happened all that time ago, and I often wonder how that girl is today. It would be a good follow up story (30 years later). I think it made such an impression on me because it was the first time that I realized that such acts could occur. I recall at the time thinking that whoever did it didn’t realize the amount of damage that could be done to a person, but no one will know I guess. Today, we seem not to be as surprised by such random, harmful acts as we were back then. That act was the beginning of changes in the Willamette Valley, we became less innocent and less trusting in the goodness of others perhaps.